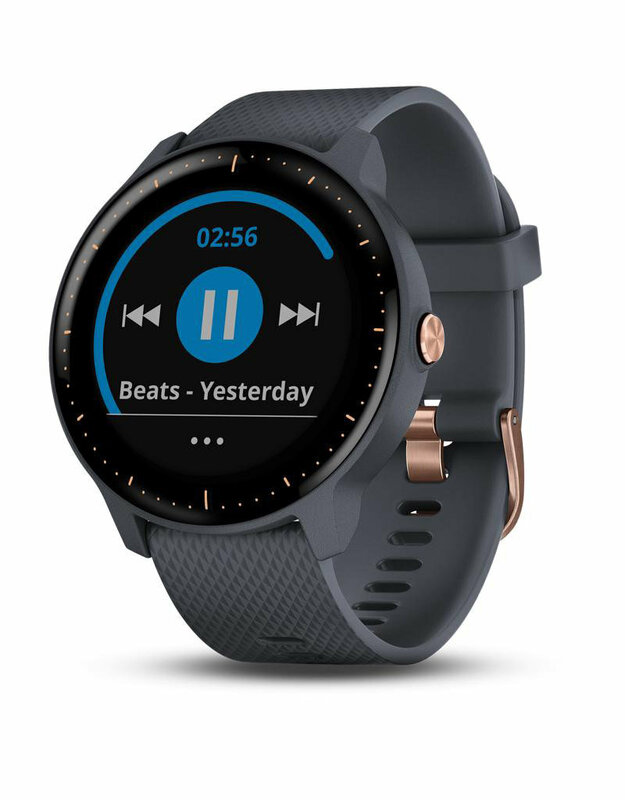 The Garmin vivoactive™ 3 Granite Blue/Rose Gold is one of the most innovative in wearable technology to date with its sleek design and comprehensive capabilities. Beyond activity tracking, this watch can record More than 15 preloaded GPS and indoor sports apps, including yoga, running, swimming and more. Smart notifications allow you to monitor your calls, texts, emails, meetings and other notifications all without having to consult your phone. Forget your wallet? No worries, with the vivoactive™3 you can use the Garmin Pay™ contactless payment solution to pay for purchases from your watch. Always-on display shows stats, even in sunlight. Displays distance, calories burned, heart rate, pool swim metrics, and golf shot measurements. Receive text, call, email, calendar, and social media alerts. Move bar and vibration alert provide activity reminder. 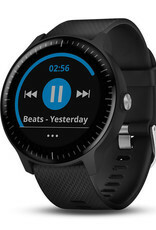 Automatically syncs with compatible smartphone to connect with Garmin Connect and MyFitnessPal. Built with music control and Find My Phone features. Remotely control your VIRB action camera. 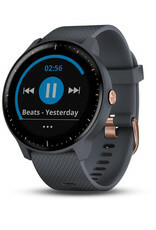 Change watch faces and personalize with the Garmin Connect IQ store. 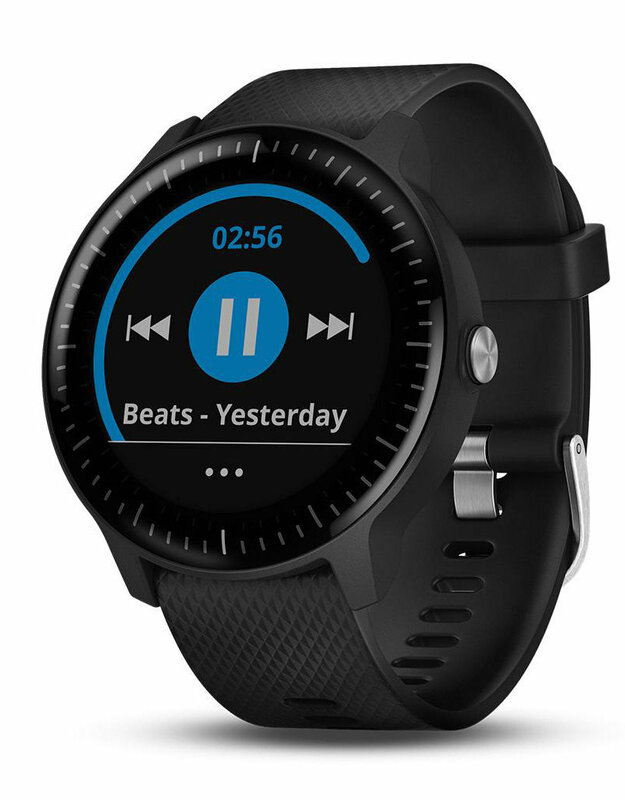 Built with a rechargeable lithium battery; up to 7 days in smartwatch mode and 13 hours in GPS mode. Waterproof up to 5 ATM. Contains a barometer and electronic compass.